Several users have reported and issue where their H800 Logitech microphone has stopped working. However, the issue is clearly with the system and not the device itself since the headset works fine with other systems. Another observation is that while the microphone ceases to work, the audio playback remains intact. The Logitech driver could have gone bad during updating, the headset drivers are corrupt, outdated or incompatible with Windows, the Bluetooth connection is bad. 1] Update Windows: The issues could be with the drivers or other features, that Windows could rectify. The fix would be pushed in form of a Windows update. 2] Check the device for compatibility. It might be that while the headset is issueless, it might not be compatible with the system. Did it work with the system earlier? Does it work with systems of similar make and model? Does your system have an outdated processor? 3] Run the Recording audio and Bluetooth troubleshooter: Go to Settings >> Updates and Security >> Troubleshoot and select the Recording audio troubleshooter from the list. Run it. Repeat the process for the Bluetooth troubleshooter. External devices load their drivers when connected to the system. The same is true with the Logitech headset. In this case, since the user is able to listen to the audio, even though the microphone is not working, we know that the device is connected and loaded the drivers. We have to update them. 2] In the Device Manager window, scroll to Audio inputs and outputs and expand the list. 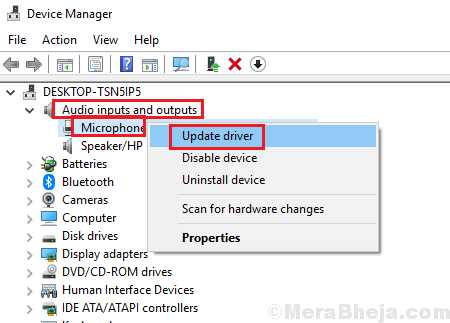 3] Right-click on your headphone’s driver/drivers and select Update driver. 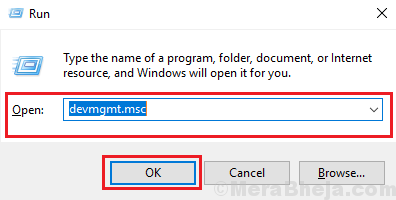 4] You might also consider uninstalling the drivers instead and restart the system while keeping the device connected to the system. 5] The latest drivers could also be downloaded from Logitech’s website. Many users have reported that the issue under discussion was resolved upon re-pairing the Logitech headset with the nano USB dongle. Logitech has launched a utility to make the process easier which could be downloaded from here. While the Install the Media Track Control Software is not necessary for the system, installing it has helped users resolve the issue with the microphone. The software could be downloaded from Logitech’s website here.